We adopted this puppy. 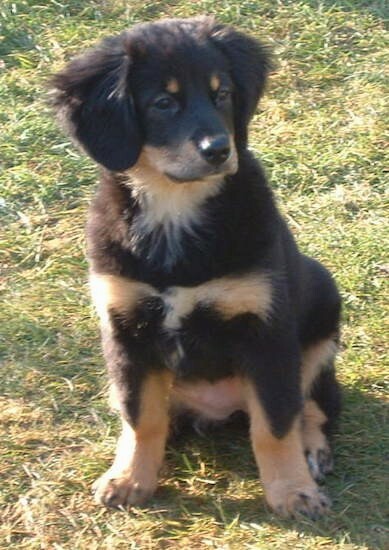 Her mom was a Bernese Mountain Dog and the dad a Dachshund!! She is very friendly and likes to play. We don't know what she'll look like as an adult dog, but we think she's adorable. Her name is Cara and she is 4 months old in these pictures. Her height is 15 inches (40 cm) and 24 pounds (11 kilo.) Greetings from Belgium. 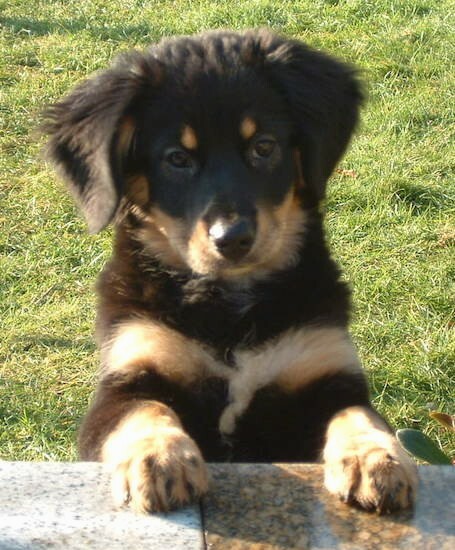 Cara the Bernese Mountain Dog / Dachshund mix breed dog as a puppy at 4 months old.